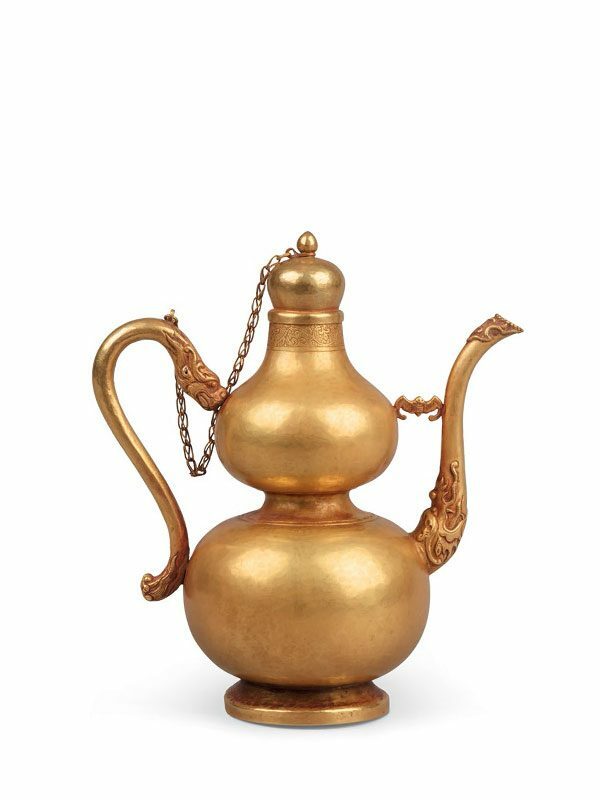 A gold wine ewer of double gourd form, supported on a stepped, splayed foot. The body has an S-shaped handle and a curved spout. 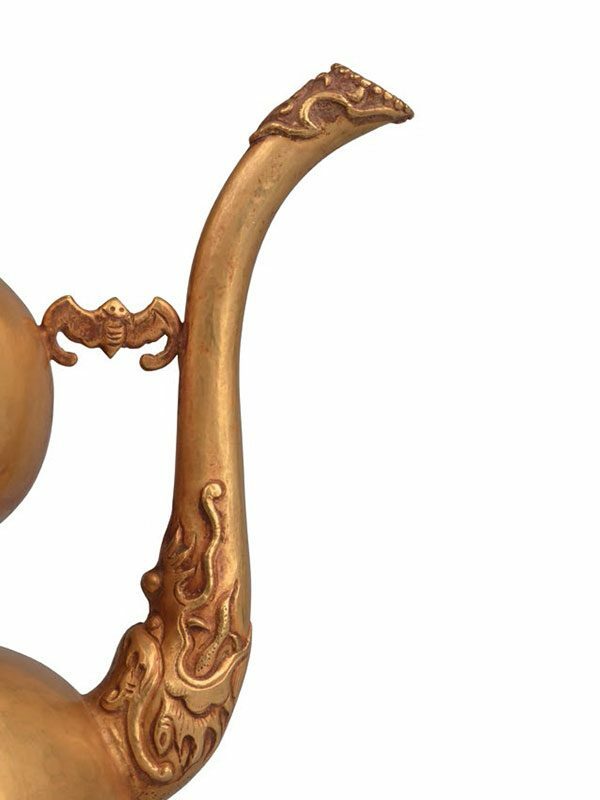 The handle takes the form of a stylised dragon, with its head attached to the upper part of the body of the ewer. The elongated spout has its root adorned with a dragon’s head in relief. Its gracefully everted opening is beaded and decorated with a shield-shaped pattern with flowers. The spout is connected to the upper body of the ewer by a bat with outspread wings. The dragons are exquisitely depicted with bulging eyes, arched horns, strong jaws and stylised manes. The short neck is decorated in repoussé with minutely detailed patterns of formal scrolling foliage and stylised flowers. The top is surmounted by a domed cover, which has a finial in the shape of a lotus bud. The finial is connected to the upper part of the handle with an interlocking chain.